The CR2450 3v Lithium Coin Key Battery is commonly used in modern smart key fobs in BMW, Ford and other car makers. It is also used in electronics, helmets, candles and other small battery powered IOT devices. 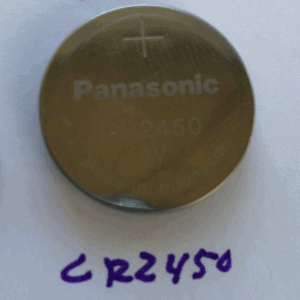 Most CR2450 batteries hold around ~600-640 mAh of charge. 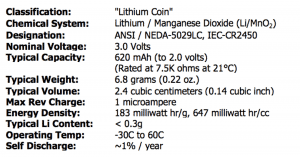 The CR2450 is classified as a “Lithium Coin” battery. 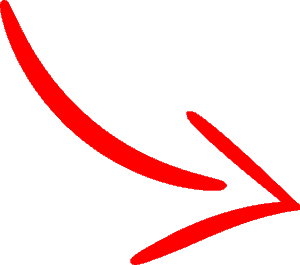 The Chemical system is: Lithium / Maganese Dioxide or Li/MnO2. ANSI designation is NEDA-5029LC, IEC designation is CR2450. Nominal voltage is 3.0 Volts. Normal capacity is around 620 mAh. Normal weight of the CR2450 is 6.8 grams or 0.22 ounces. The CR2450 will self discharge around ~1% a year, giving it a great shelf life. 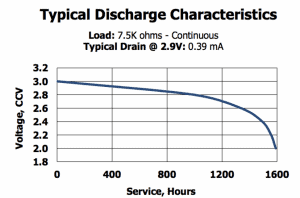 Typical discharge rate of a 7.5K ohms continuous load is shown above. At 2.9 volts, you will pull 0.39 mA.